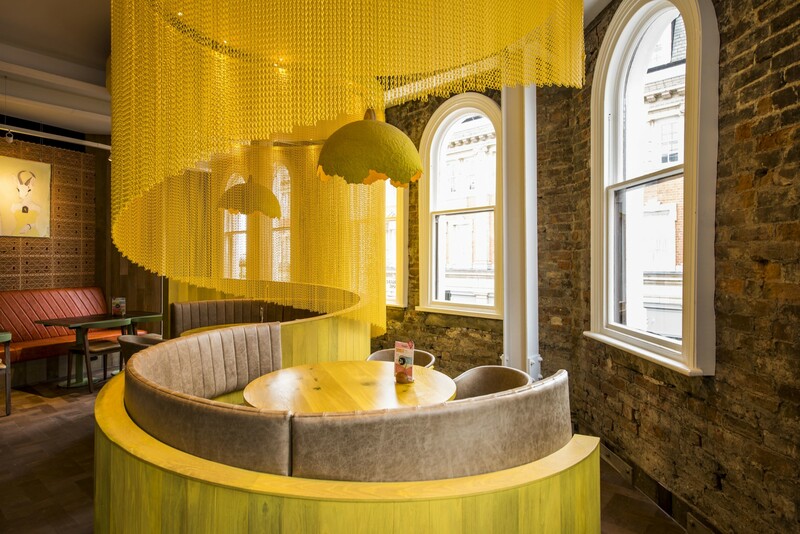 Hotels and restaurants | City: Altrincham, GB | Designed by: Stac Architecture Ltd. 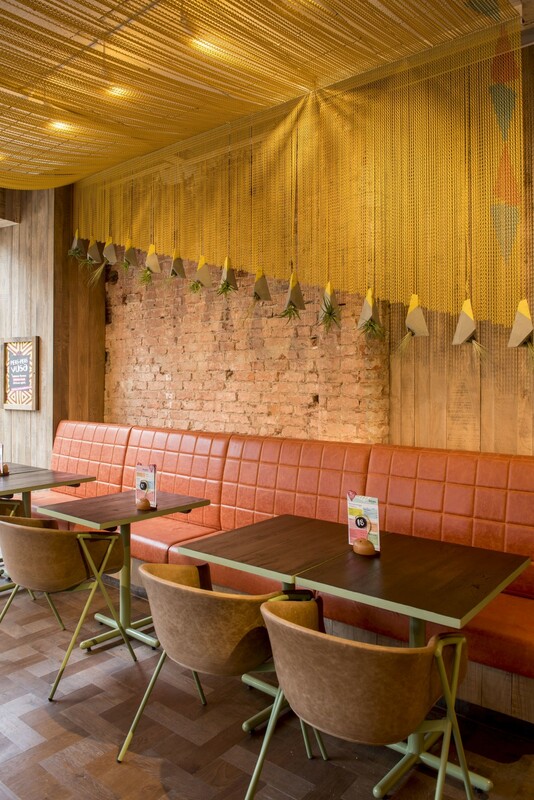 Together with the London company Stac Architecture Ltd., Kriskadecor has decorated one of the restaurants of the original international chain of South Africa. Among warm colours, exposed original brickwork walls as well as introducing terracotta blockwork and hot-rolled mild steel sheet cladding, highlights the adaptability of the small anodized aluminium links. The three design solutions provided by the company create a unique atmosphere. 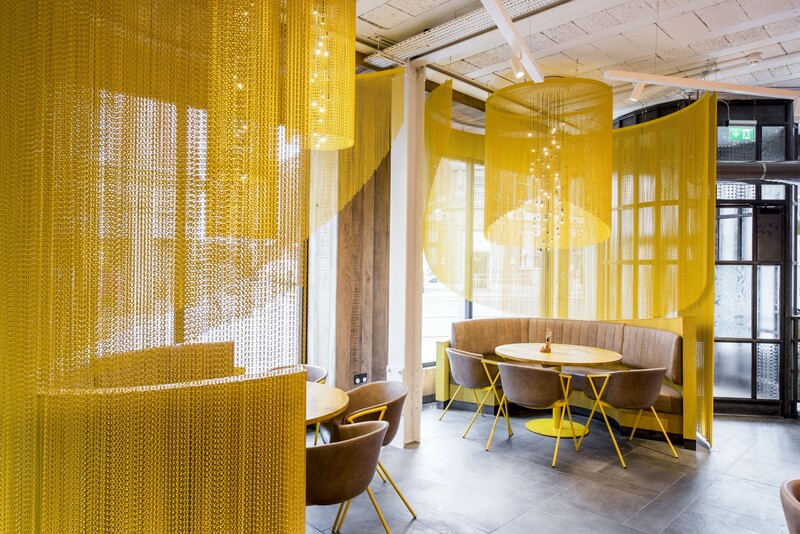 Space dividers made up of wavy semicircles with custom curved rails, as well as the innovative roof curtain and cylindrical chandeliers that cover the different points of light, provide the desired colour, texture and movement. 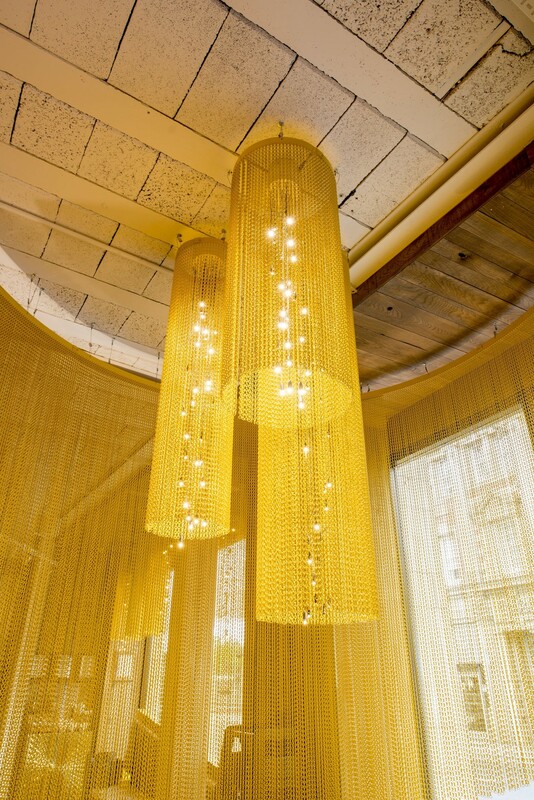 If we add to all this, contemporary African art dotted throughout the restaurant, the result is a reference in customized design that combines history, culture and innovation.